A collection of favorites from author Jacob D. Eppinga's popular column "Of Cabbages and Kings," published in The Banner for 40 years. A delightfulcollection of favorites from author Jacob D. Eppinga'spopular column ""Of Cabbages and Kings,"" published in The Banner magazine of the CRC for 40 years. In part autobiographical, this collection features the best of the author's articles from the past decade but also includes his very first and last columns, along with the longtime reader favorite ""Blue Marble."" 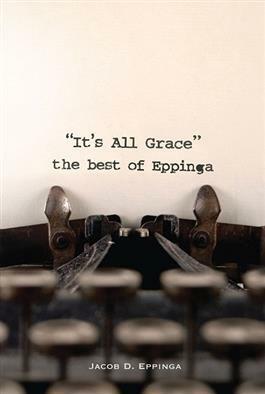 With wit and wisdom, Eppinga offersextraordinary insights into ordinary things, places, and events that point him—and us—to the grace and goodness of God. Eppinga (1917- 2008)served three Michigan congregationsduring his 63 years of ministry. Other books he published include As Long as I Live, Blue Marble, and See All the People Under the Steeple.